Owner Mel Day has a blast working with beautiful flowers, with over thirty years of experience in the floral and design industry. 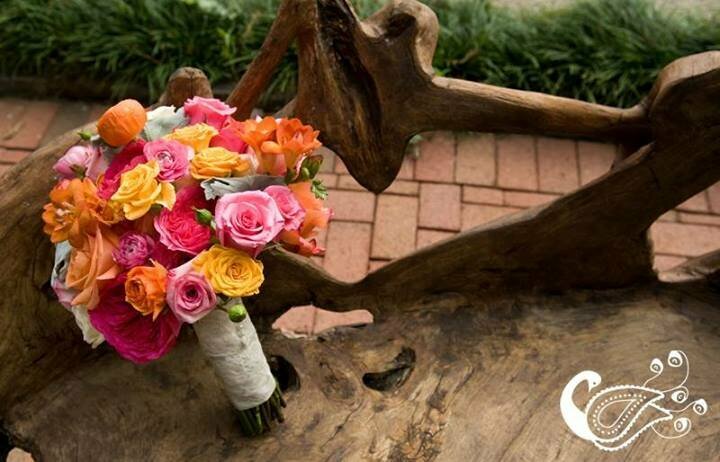 A North Carolina native, he received his floral design training in New York and San Francsico, bringing all his design knowledge back to Raleigh in 1993. In New York, Mel was the florist for Saks Fifth Ave, which lead to working with such fashion icons as Adolfo, Paloma Picasso, Ralph Lauren and Donna Karen providing floral designs for their fashion and trunk shows. He has designed events for President's Ford and Clinton and has served as florist for the NC Governor's Mansion for Governor's Hunt, Easley, Perdue and McCrory, providing floral arrangements for state dinners, special events and decking the halls for the Christmas open house every year. Mel's work has been featured in The Knot, Southern Bride and Groom, Our State and Wedding's magazines as well as book publications, Governor's Mansions of the South and The Knot Ultimate Weddings Book. We love event work because we are always going to a party! Flowers are fun and joyful and we want you to have as much fun planning your event as we have putting it together for you. Whether it's a small, intimate event with a simple and elegant theme, or a large event for thousands, Mel and his team are here to help. You will not find Mel behind a desk like some business owners, he has to get his hands on those beautiful blooms, so if you hire Mel for your event, you get him along with his wonderful staff. We look forward to working on your beautiful event!